Our greatest pride is being a local brand that delivers on the local taste that our esteemed customers crave. We are industrious with fun personalities that aid us decipher what our customers desire and deliver on it with a unique taste which marks our trademark. 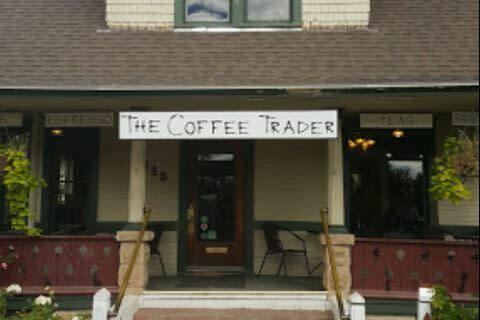 We are a locally owned and operated coffee shop in Colorado and plan to stay and maintain it that way.Our primary focus is set in ensuring we build a connection with our customers. We are an inclusive team that always looks forward to sharing our appreciation for life with the simple joys in life of which tasty coffee is a crucial part of. For us, it is usually about the fun interaction we create through our coffee which is why we strive to make each day have its own unique identity in terms of the taste and experience our customers receive. Using our expertise to create the perfect blend from freshly roasted beans has been our passion since inception. It is this passion that gradually evolved into a full-blown business whose sole purpose is share great coffee that is unrivaled in both taste and quality. Over time, we have developed into more than just a coffee shop as we are the emblem of the culture of Colorado. We always target satisfying our customers on a personal level to create the nostalgic feel of an authentic Colorado in which neighborhood friendliness was the principal virtue. Our dedication is our ultimate asset as it enables us nurture our coffee making talent past the thresholds known to other coffee traders. From our commitment to the objective of serving local Colorado to delivering on our promise for consistency in quality, we manifest as the only coffee shop in Western Colorado that has an eye for the spectacular. Our ultimate goal is to maintain our quality standards while extending our service throughout Colorado and in doing so, aid the natives of our beloved State enjoy a tasty beverage that has a local identity.